There is one definition of love that I currently accept. Love is when an individual commits to and works toward the thriving of another. Furthermore, that individual seeks to better herself not only for her own sake, but also for the sake of her loved one. Jealousy, possession, manipulation, control, status, and all the rest are the stuff of ego consumption and have naught to do with love. When love is mutual, two people are committed to the well being of the other as independent people, as well as the growth and blossoming of two lives intertwined. Two lovers. A couplet. A pair. Obviously love need not be romantic. I can list a myriad of potentially loving relationships: friend/friend, parent/child, teacher/student, coach athlete, neighbor/neighbor, etc. Love is not always equally mutual. Often one party is more willing or more capable of investing in a relationship than the other. But hopefully by receiving love, a loved one finds the means of growing and learning to love as well. Finally, love is not confined to a pair, but might be the glue for a small group or an entire community, whether or not romantically connected. The kind of love I am currently most concerned with is the last form of love, group or community love. I’ll leave an essay on polyamory for another occasion. Rather, this is an essay about black love. The Zimmerman trial proved to me that black people still struggle to have their personhood recognized by white society—which is still the dominant society. A friend explained that the reason a “not-guilty” verdict was possible was because white people actually hate black people. Thus, most white people do not love black people. Hate is the fear of the other. Hate is a strong apathy towards the existence of the other. Hate is a hope for the other’s failure. Hate is the desire to see or bring about the destruction of the other. Of course, hate is the refusal to recognize the other’s humanity. Despite all the “progress” that has been made in the United States, black folks still have it rough. We see this in incarceration rates, crime rates, poverty rates, educational gaps, and health care outcomes. The problem stems partly from white society’s suspicion, fear, and apathy toward black people. However, hate is conditioned by this country’s institutions that structurally seek to destroy black people. Most potently, I think about the justice system that so readily tears black families apart, pushes young black men into cycles of violence after one, usually non-violent crime, and serves as justification for police (and now civilians) to shoot and kill black men who appear “suspicious.” In the American justice system, black people are usually criminals, and rarely victims. Such institutions produce and validate white society’s hatred of black people, and in some ways, they cause black people to hate black people. If we do not actively choose to love black people, then we fall subject to the conditioning that these institutions inculcate, subconsciously participating in hate that will color our actions and beliefs. Without rejecting the conditioning of our hate, we lose our ability to change those institutions. The George Zimmerman trial demonstrated that whiteness is equated with neutrality. In mainstream public discourse it is rational to see a black male as violent and criminal, rather than recognizing such an assumption as one guided by hate. When black people call this racism, we are told that we are overreacting and that we cannot see beyond race. In mainstream public discourse, being black is not normal. Our points of view are considered emotional and irrational. Given our country’s history, I want to argue that choosing not to talk about race stems from an unwillingness to admit one’s own participation in the hatred of black people. I immigrated to the United States from Jamaica when I was six years old. I attended mostly white and Hispanic schools in Miami and I lived in a mostly white neighborhood. When my peers constantly asked me why my hair was so curly or won’t grow very quickly, or when they suggested that I was unattractive, or when they asked me why did or didn’t talk a certain way, or when they simply marvel at the darkness of my skin, I was reminded of my difference in a negative way. Despite my parents’ attempts to instill a sense of pride in my heritage and my color, up until the age of 15, I was generally ashamed of the blackness of my skin. I distinctly remember wishing that I had not been born black or that my parents had been white and made a lighter child. I know firsthand that self-hatred is too much a part of the experience of being black in this country. Self-hatred might take a variety of forms. I see self-hatred when well-to-do black folks talk to white folks about poor black folks as if they are ashamed of them, as if they disavow them. As if they deserve the hand that has been dealt to them. Though white people love citing statistics on so called ‘black-on-black’ crime, most will not work to end it. I sense that white people feel vindicated in their fear of black men whenever one is arrested or killed. And capitalism, which is tied to white hegemony, profits too much from the absorption of black lives into the prison industrial complex and billions of dollars in the sale of guns annually. Only black people can end the crime in our communities. Accepting the loss of black lives is a part of our self-hatred. After the Zimmerman verdict I told a friend that I no longer felt welcome in this country. I knew my life was not valued here as it should be. I knew that the life of my brother, as a black man under the age of 30, was definitely not valued. And it broke my heart, because after 16 years of living in the U.S., I had come to think of it as home. While I had at first thought that I should not stay here because this country could never love black people, part of choosing black love, is choosing to stay. Despite all the pain that comes with being black in this country, I feel grounded here and though at times fragmented, I feel as if I have community. In this country there are people I know and love and I seek to build something extraordinary with them. Leaving would be another form of disavowal and thus self-hatred. Self-hatred is antithetical to the blossoming of black lives. For me, black love is daring to imagine what black lives and black communities at their fullest potential might look like and committing to that vision not only in thought, but also in action. This is a fact: black people deserve infinitely more than American society and circumstance have afforded us to this date. Black love is community-oriented, because we must grow and prosper together. Black love is creative. Because our histories have been erased and distorted, we must write new ones and in doing so, manifest extraordinary futures. When love is black, we affirm our right to walk down any street in this country without fear of police, suspicious white people, and most importantly, without fear of each other. We affirm our right not only to exist in this country, but also to build full and rewarding lives for ourselves, our lovers, and our families. In doing so, we say that black bodies are valuable, worth protecting, worth understanding, and simply beautiful. White people can and should partake in black love because their humanity will expand in doing so. They might encounter their own fears and forms of self-hatred. They might begin to see their own truths as limited and begin to embrace the diversity of experiences they had previously disregarded. However, I do not expect white people to love black people just because its right and good, and most will not until every black person partakes in black love. 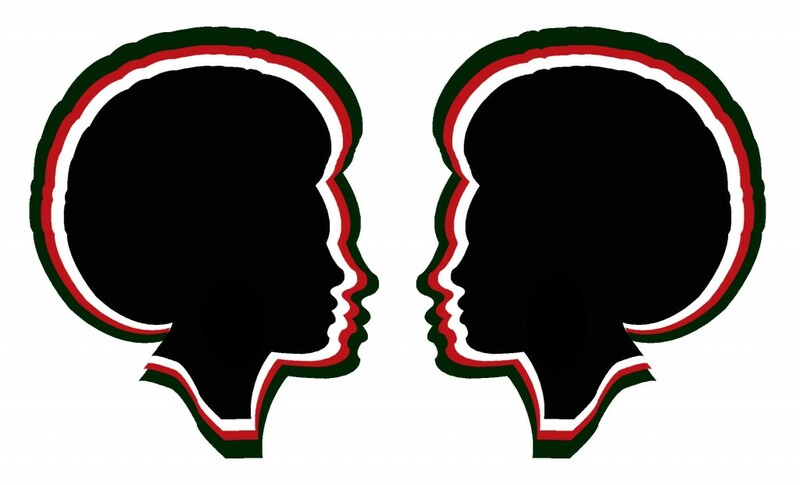 Black love is about our romantic relationships. When we choose black and brown partners and make beautiful black and brown babies, we also choose to nourish them in mind and body. In doing so, we raise them to love their skin and everything that comes with it. Black love is choosing to support black families, in all their varying forms, as ideal and perfect. As a queer black woman, black love means for me, loving black men. Loving men like my father and brother, as well as those black and brown men with whom I have developed and will develop significant friendships. Though not romantic, those relationships have been and shall continue to be integral to who I am. Black love should also be brown love, because brown people have it rough in this country. Black and brown people share a history of colonialism, occupation, and forced migration. And black and brown people have been brutally “civilized” at the expense of their own traditions, languages, and ethos. And black love should be queer love because, during and long after slavery, whites did not believe blacks to be capable of love. Intimacy and affection amongst blacks were strange to them. Black sexuality has often been considered deviant under the gaze white of society. Black love is knowing that every single black person, irrespective of class, gender, language, or nationality, can make something remarkable of their life. Black love is about black people making this country home.